Can mesh networks and offline wireless move from protest tools to news? 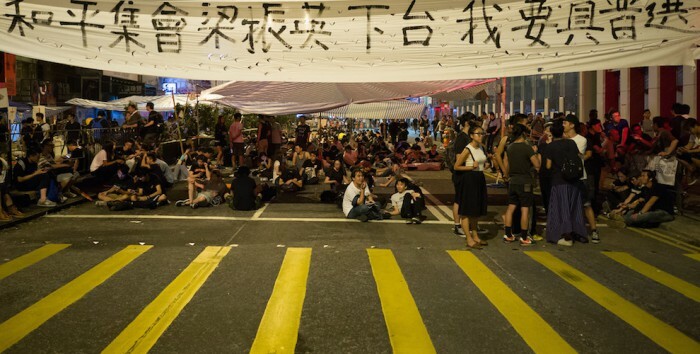 From the protests in Hong Kong to Occupy and Sandy in New York, a new generation of tools is allowing communities to connect without using the Internet. Can they have a use in news too? Benton, Joshua. "WSJ tries marketing-via-connectivity." Nieman Journalism Lab. Nieman Foundation for Journalism at Harvard, 24 Aug. 2012. Web. 24 Apr. 2019. Benton, Joshua. "WSJ tries marketing-via-connectivity." Nieman Journalism Lab. Last modified August 24, 2012. Accessed April 24, 2019. https://www.niemanlab.org/2012/08/wsj-tries-marketing-via-connectivity/.